My poet friend Garry McDougall has allowed me to share his poem ‘Indebted’ on my blog. 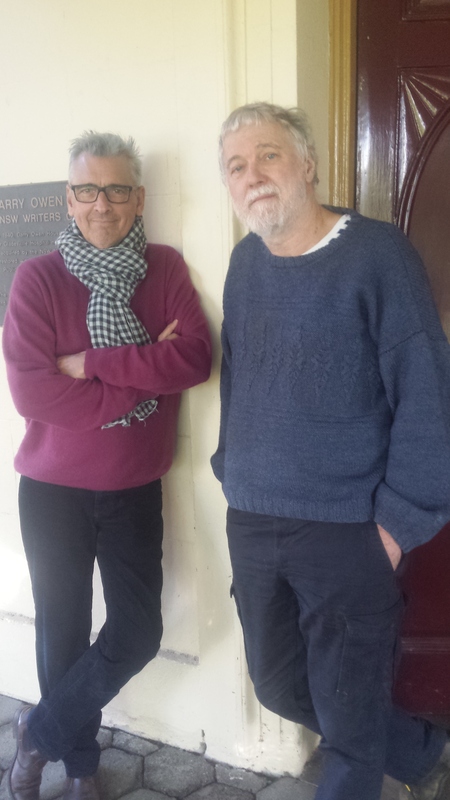 Garry is a novelist and painter as well as a poet, and we meet most Tuesdays at the ‘Write On’ writers group in Sydney. ‘Indebted’ is my favourite among his works. It relies on familiar McDougallesque poetic techniques: Semantic slippage as word meanings blend oddly with their neighbours, homonyms that bump into each other in surprise, grammar mystically subverted , and the resonation of patterned sounds. What sets apart ‘Indebted to’ is the almost painful intimacy of the fleeting scene it describes. If you wake up each morning with somebody special, you’ll get it. in the hour of in-between. You can read about Stuart Campbell’s books here. Previous PostSydney novelist pledges to vote wearing Hi Vis vestNext Post‘Cairo Rations’ still #1 in its Amazon category!